The combination of readily accessible data and artificial intelligence (AI) will eventually transform healthcare as we know it. Many senior leaders in process improvement roles find themselves discussing the need to become more proactive in their operations by leveraging predictive analytics, but they don’t know where to start. Here are four steps to help anyone get started on your first use of predictive analytics and create a proactive environment within your health system. Get C-Suite Buy-in. First, and arguably the most important step is to find a strategic area where the organization must see improvement. In some organizations, surgical performance may take priority due to specific service line and revenue strategies. In other organizations, emergency department and inpatient focus will rise to the top due to a need to better serve the community and control costs. Get clarity on the specific key performance indicators (KPI) (e.g. OR volume, length of stay, overtime, etc.) the leadership team is looking to improve, and use as guidance as the process moves forward. Assess your options. Once the priority and the underlying target KPIs are fully defined and understood, begin looking for a strategic partner to support you on the journey. Many organizations will have talented individuals within the hospital who may be able to get your data analytics initiative off the ground, but assess the long-term viability of this path to ensure adequate support. With vendors, assess the third party’s ability to provide customer results, strategic alignment to your long-term EHR investments, and expert resources. Align with your organization’s daily activity. It’s time to get a level deeper and ensure a path to success. You cannot just drop in a new way of doing things and expect it to be successful. You must understand who will use the new insights, help them understand how to leverage these insights in their daily activity, make it fit naturally in their day, and ensure tactical alignment in order to improve the target KPI. Vendors must create a natural experience for your key stakeholders to ensure adoption. Make sure everyone understands how the solution will be used and help change the way you do business. Adoption will drive results, so begin planning the steps to implement and maximize use of the new way of doing business. Show the impact. Keep the organization aligned on progress toward moving the KPI you set at the beginning of the process. Go back to your executive teams in recurring program reviews to communicate impact over an extended time. 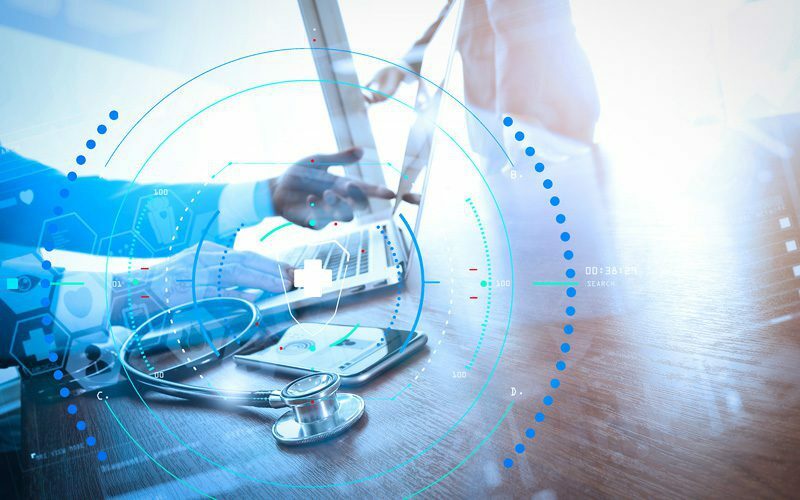 Showcasing the initial successes will create a cyclical effect, and you will soon be on to broadening the use of AI within your health system. This process outlined above has been successful for the Hospital IQ team as we work with our health system partners. We’ve been in the trenches, aligned leaders on their needs, and driven both incremental and transformative successes using artificial intelligence. This includes changing the way inpatient beds, OR’s, ED’s, and staff are used across their health systems. The process is a journey for most organizations, and taking the first step is often the hardest thing to do. The Hospital IQ operations management platform and deep customer experience makes it easy for any organization to get started, see results, and ultimately create a more effective health system. Want to see the impact predictive analytics can have at your health system? Schedule a product demo today.